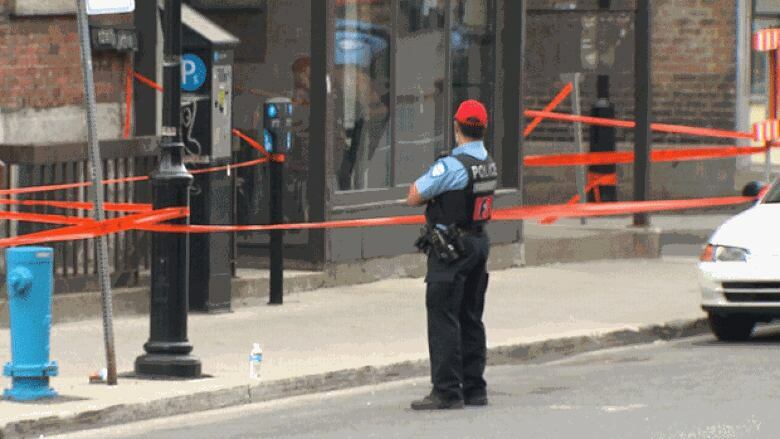 Critics say the Quebec government's new legislation that aims to make investigations into injuries and deaths during police operations fully impartial doesn't go far enough to increase police accountability. Critics say the Quebec government’s new legislation that aims to make investigations into injuries and deaths during police operations fully impartial doesn't go far enough to increase police accountability. For more than a decade, community groups and relatives of victims killed at the hands of police have called for a special civilian body to investigate police, along the lines of Ontario's Special Investigations Unit. Premier Jean Charest has been under pressure to change the current investigative practice, in which such incidents are investigated by another police force. Bill-46, introduced in the National Assembly on Friday, comes nearly two years after the province's ombudsman called for an end to the practice of police investigating themselves. The ombudsman's report recommended a civilian board carry out all investigations into police conduct involving injury and death, but the legislation introduced Friday doesn't go that far. Instead, Bill-46 would create a civilian oversight committee led by either a retired judge or a lawyer, which would monitor investigations into the use of force by police, including shootings and the use of Tasers. The investigations themselves would continue to be led by another police force. Jesse Zimmer has lobbied for a more transparent police investigation process since his friend, Claudio Castagnetta, died a few days after being stunned by a police Taser in 2008. He said Bill-46 doesn't go far enough. "[It’s] not a victory for the people of Quebec in my opinion," said Zimmer. In recent years, there have been several well publicized police investigations including into the shooting of Fredy Villanueva and this past summer's shooting death of an innocent bystander. Fo Niemi, the founder of the Centre for Research-Action on Race Relations, a non-profit civil rights organization, said Bill-46 does little to dispel the current cloud of suspicion. "We are very concerned about the fact that the minister responsible for police is also the minister responsible for this civilian bureau, and also the minister issuing directives as to how this bureau will operate in the long run," said Niemi. Opposition critic Stéphane Bergeron said the bill should go further. "One thing is for sure: the public needs to know that there is justice, or at least have the appearance of justice," said Bergeron. Charest said he understands the public may have certain perceptions when it comes to police investigating other police. "When there is an incident, there's always that issue. We believe this body of surveillance will be able to address that issue," said Charest. In Quebec, only three police officers have faced criminal charges related to excessive force in the last 10 years. In Ontario, where an independent unit investigates police conduct, 13 officers have been charged this year alone.